• Hydrating Shampoo 250 ml – a gentle, daily-use shampoo that instantly infuses all hair types with hydration. • Hydrating Conditioner 250 ml – a nourishing, daily-use conditioner offering optimal hydration for all hair types. 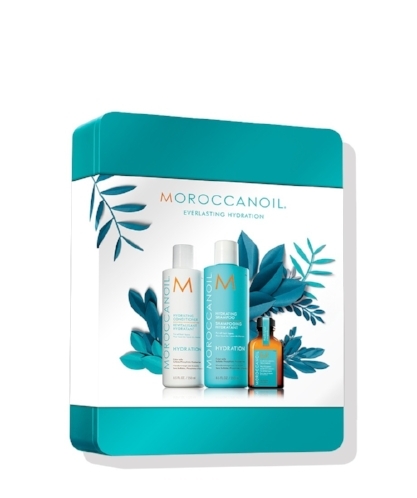 • Moroccanoil Treatment 25 ml – is an argan oil-infused conditioning, styling and finishing tool that sets the perfect foundation for hairstyling. Available in-salon now, the perfect gift this Christmas.